And just like that, the first month of 2019 has already whizzed by. It might be a traditionally quiet month, but this January still packed quite the punch on the Switch's eShop with some truly great picks to choose from. So, let's get started! 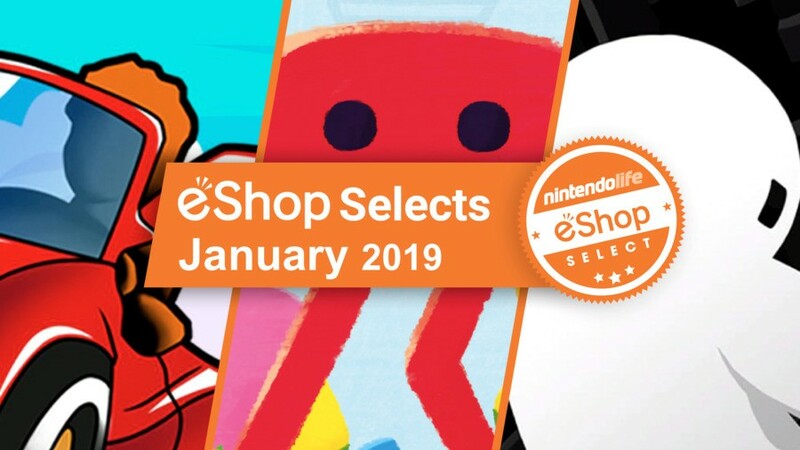 Here are the best Switch eShop games of January 2019! Taking third spot this month is Downwell, a low-fi platformer/shooter hybrid first released back in 2015. The game has you - rather literally - falling down a well, using your pair of gunboots to jump, hover, and deal with any enemies as you fall. We described it as being "a punishing game in all the right ways" in our review, praising its control options and the included TATE mode while giving it a 9/10 score. It's absolutely worth a look. One of the most, if not the most, influential and universally-liked arcade racers, SEGA AGES Out Run takes our second-place spot this month. The game plays as you might expect for the most part, making you speed along a five-stage course while avoiding cars and obstacles, but strategy also comes in to play as you choose your own path at the end of each race. We gave this one an 'excellent' 9/10, too, saying that it's "about as essential a retro release as you can get". And finally, we reach this month's number one eShop title: Pikuniku. Taking home the victory in our staff votes by a landslide this month, Pikuniku won us over by leaving us all with stupid grins on our faces from start to finish. As we said in our review, "we struggle to recall a dystopia quite as cheerful as the one found in Pikuniku. It’s a short game, but one packed with heart and imagination, with a great single-player component and excellent couch co-op that can genuinely be enjoyed by anyone". If you're looking to pick up a new game on your Switch, Pikuniku should most definitely be on your radar. 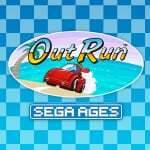 Sega Ages: Out Run! Though I've not tried Pikuniku yet. Airheart Tales of Broken Wings is a great game imo, was lucky enough for Blindfung Studios to give me the game before its release and I havent played anything else since. I can recommend Onimusha Warlords. I played it for the first time (never played the original) and i loved it. Gameplay's extremely fun imo and Story is nice too. You should check it out if you're interested in Action Adventures / Hack and Slays. Hi all, lurker gone legit - registered today. Love this site. It was released on February 1st (as was Downwell) here but if we're going by Europe/USA time then definitely gotta go with Planetarian. Pretty weak list overall, was a bit of a quiet month. Downwell is nothing overly special but is pretty fun and great value for money at least. Out Run doesn't interest me at all and Pikuniku seems to be pretty average from what I've seen so I haven't picked up either of those. February is looking much stronger. @justin233 Each to their own. Even though I have yet to get it. Legrand Legacy: Tale of the Fatebounds for sure! While I loved Pikuniku and Downwell, my favourite eShop game of January is the amazing HoPiKo. It’s so stressful, yet fabulously rewarding when you finally 100% an entire level.. after 3 hours and 200 attempts! And I utterly adore it! 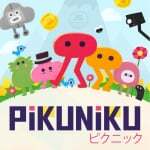 I loved Pikuniku! So stupid and that's the reason it's awesome! Why no love for Tangledeep? Twice as good once I started using the d pad to move too, which I only figured out this morning. The only "new" game I bought this month was Gunman Clive HD Collection. Though I beat both games in one sitting I still think it was a true gem and surprised it didn't even get an honorable mention on this list. 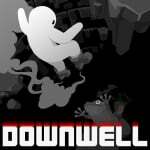 Downwell might have the best cost-to-value ratio of any game in recent years. Well i hope the rest of the year is better than this for switch other consoles got RE2, KH3 and AC7 this january. Pikuniku was a blast, but I'm also enjoying Gabbuchi, which was released on January 31st. IMHO, it deserves an honorable mention as well. I'm used to games outlasting their welcome even when they're good, so a short but sweet game like Pikuniku is always welcome. I had a great time with it and was sorry to see it end. Always leave 'em wanting more, I say! Even though i already owned Downwell on PS4/Vita (via PS+), it was a no brainer to double dip for the Switch.